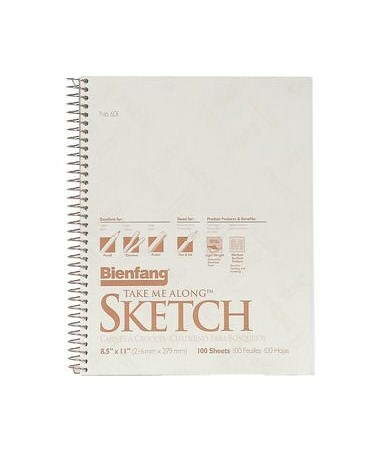 The Bienfang Take Me Along Sketch Book (Qty. 100 Sheets) is a handy and portable side spiral bound sketch pad. It includes 100 sheets of 50 lb. weight paper with medium surface texture. With its medium tooth, it is excellent for pencil, pastel, charcoal and crayon. It can also be used with pen and ink. The Bienfang Take Me Along Sketch Book (Qty. 100 Sheets) is a versatile drawing pad for artists, draftsmen, and hobbyists. It comes in three different sizes for maximum functionality. Acid-free, it ensures long-lasting drawings. 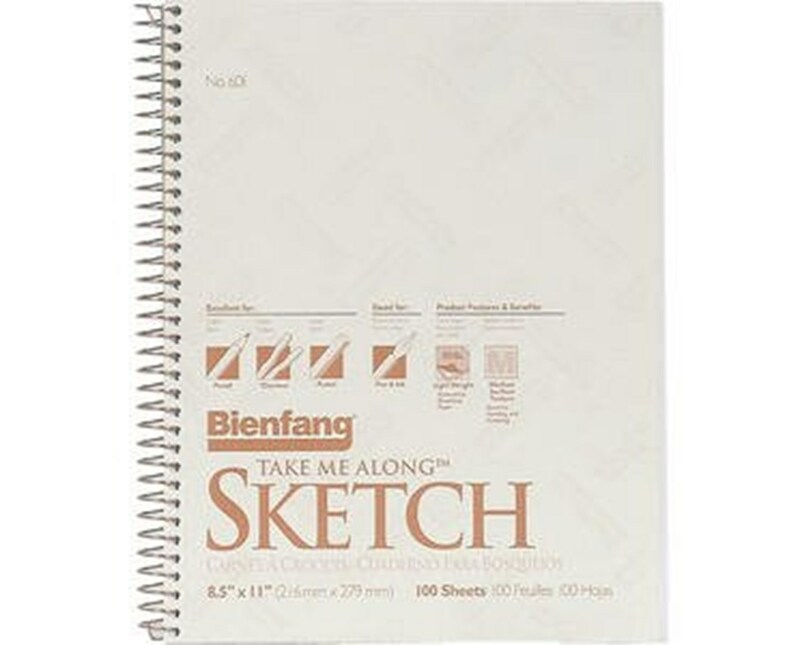 The Bienfang Take Me Along Sketch Book (Qty. 100 Sheets) comes in three different sizes. Please select your preference from the drop-down menu above.